Let me clarify few things about options to help your trade options better. Try to gain fundamentals knowledge of options, trading strategies, etc and after ensuring that you have complete knowledge start trading options. Never trade without learning completely about options. 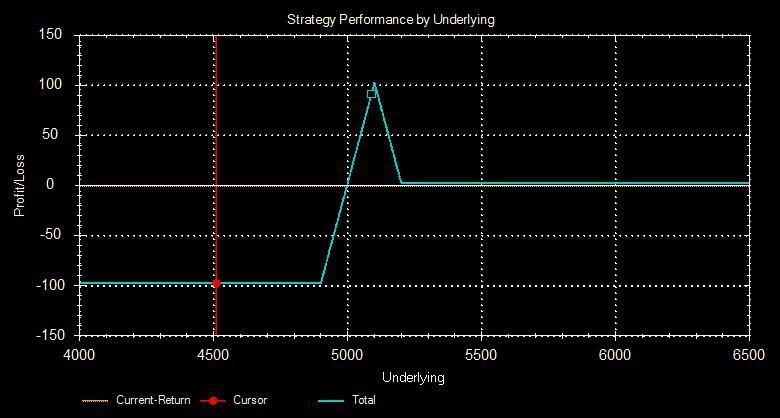 Almost all option strategies involve some degree of risk, decide your risk level and then trade options. Please avoid taking naked option position such as sell call or sell put as they are too risky and involve unlimited risk. Trading options as a directional bet can be a very complicated money making technique. Buy call or put if you are very sure about the direction of market as market always has surprises. For instance, NIFTY 5300 call was trading @Rs.114.8 in January when NIFTY was 5000 level, now the same call closed at @Rs.16 last week when NIFTY is at same 5000 level. Unlike stocks and futures, you do not need to just get the direction right but you also need to get the volatility and timing right. You may have made a directional forecast in January that NIFTY may touch 5000 in March, but wrong timing, time decay and volatility may turn your trade into loss. There is no perfect trading strategy which will work in all time. Every market move requires one to use different option strategy. Here is a checklist on few strategies to be employed based on direction/volatility etc. Option trading is not for those who wish to create wealth instantly. One needs to have good discipline, time management and proper preparation. It is not like stock trading where one can buy a stock and make profit IF STOCK GOES UP. Option trading involves more of proper risk management and making profit. Although there is the chance to make a lot of money, you can lose everything in a heartbeat without proper preparation. This means that you need to create a perfect groundwork before trading options and be ready to review and modify your strategies and plans to work with whatever changes the market throws at you. Trading options is different from trading in stocks future or investing in stocks. It is more like speculating and taking on a business risk with the hope of making a profit from the market fluctuations. If you are ready to take up minimal/pre-planned risk and understand that your trade may go wrong then options trading may be exactly the kind of wealth creation channel that you are looking for. Options trading can be a very rewarding investment if you are careful, CAUTIOUS and aware of everything going on around you. Please do make sure that you research the risks involved and always attempt to learn as much as you can to reduce the possibility of losing money. Max profit: 102.55, Max loss: 97.45, and Return if unchanged: 91.25. (The option trade given in this post is provided for general education and information purposes and therefore should not be considered as recommendation by the author). Please publish the ideal option strategy at the last friday of the month.